It's the deadliest battle of the super street war! 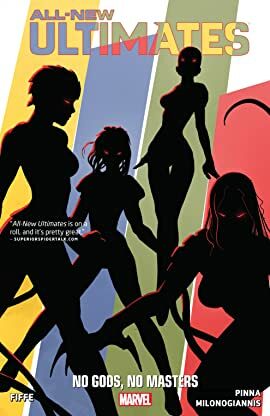 Spider-Man, Black Widow, Kitty Pryde and Cloak & Dagger can barely hold back Vermin and Agent Crock, so how will they fare against the Femme Fatales and the supremacist Watchdogs? And as Bengal joins the police, will Scourge escape from prison and continue his killing spree of costumed crusaders? 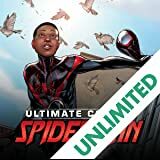 The all-new Ultimates' ultimate nemesis finally strikes, and the team is picked off one by one. Can even Bombshell and the mercenary group Terror Inc. help protect them against Ecstasy, the new queen of crime? As Taskmaster attacks and Crossbones returns, can the Ultimates save the city from catastrophe yet again -- and save themselves in the process? 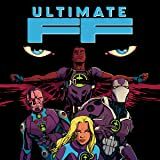 With monsters, mayhem and super-powered fisticuffs, it's the life-changing conclusion for the rawest, grittiest new team on the block. 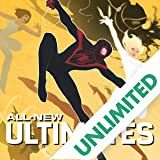 SPIDER-MAN, BLACK WIDOW, KITTY PRYDE, BOMBSHELL, CLOAK & DAGGER officially unite as the All-New Ultimates to tackle the vicious, rampant crime wave overtaking Hell's Kitchen! MILES is back in action with a new status quo and a new outlook on life! A BIG BIG BIG villain from PETER PARKER's past is alive and well and about to turn New York upside down! The biggest ultimate event yet! 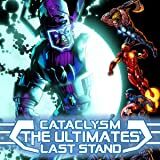 Marvel's Galactus vs. The Ultimates! The Future Foundation is all that stands between us and COMPLETE AND UTTER DOOM. Sue Storm, Tony Stark, Machine Man and Sam Wilson face the ONCOMING DESTRUCTION. A mysterious new member will join their ranks, whether they like it or not. Hint: They will not. 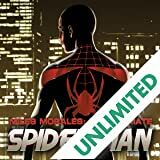 Introducing Miles Morales--the new Ultimate Spider-Man!